Jerusalem (CNN) — Palestinian leaders have agreed to begin indirect peace talks with Israel, a Palestinian official said Saturday. 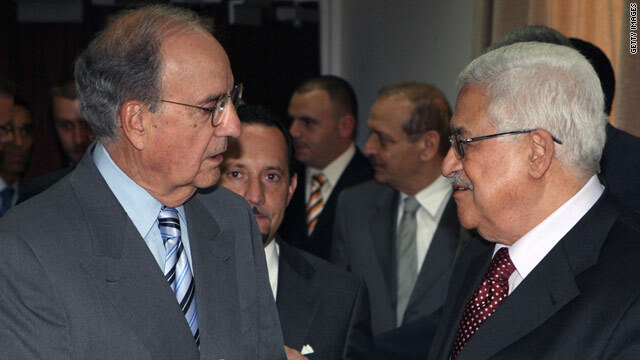 U.S. special envoy George Mitchell will broker the talks, shuttling between the two sides, Palestinian presidential adviser Yasser Abed Rabbo told reporters. The Palestine Liberation Organization’s executive committee approved initiating talks after a three-hour meeting in Ramallah in the West Bank Saturday, he said. U.S. officials hope the “proximity talks” will be the first step toward restarting direct talks between the two sides. The last round of peace talks broke down in December 2008 over Israel’s three-week military offensive against Hamas in Gaza. Mitchell has been meeting with Israeli and Palestinian leaders for the past few days, but a detailed plan about when the talks will start has not been released. Israeli Prime Minister Benjamin Netanyahu believes the talks should be conducted without preconditions and lead as soon as possible to direct negotiations between Israel and the Palestinians, spokesman Nir Hefetz said in a statement Saturday. Hamas condemned the PLO’s decision to restart talks. “The Palestinian Authority needs to stop selling illusions to the Palestinian people,” Hamas spokesman Fawzi Barhoum told CNN.